Remember that dream? 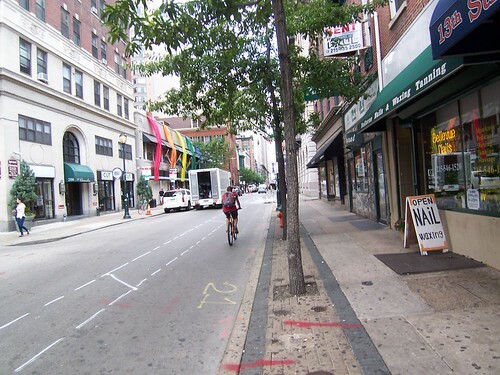 Where you rode on a bike lane up 13th Street through Center City? Well, look down. As of this afternoon, 13th Street from South to Market has been chalked for bike lane paint. We expect that this chalk will spread north to Spring Garden, and along 10th Street from Lombard to Spring Garden, in the next couple days. The real paint (as opposed to this heavy-duty traffic chalk) is supposed to go in before the end of June.